Both gin and south London are having a bit of a moment right now. The city’s skyline south of the river was transformed when The Shard was completed in 2012 and when it opened to the public earlier this year, tourists started traipsing over London Bridge to Southwark. With gin, the rise in boutique and craft distillers has helped to make it the trendy tipple du jour, but its growing popularity also rests on the fact that the big brands have been busy sponsoring TV programmes, festivals and vintage club nights and increasing its visibility. So when two trends collide, the result, in this case, is one of the best little drinking spots in London. The Saturday market at The Ropewalk at Maltby Street (www.maltby.st) in Bermondsey has been luring foodies away from Borough Market thanks to treats such as artisan chocolates and pulled pork brioches, seafood sliders and Monty’s Deli’s Jewish soul food. With Union Jacks fluttering in the summer breeze and bunting hanging overhead, it’s the hipster in-the-know alternative to Borough Market’s mainstream touristy vibe. 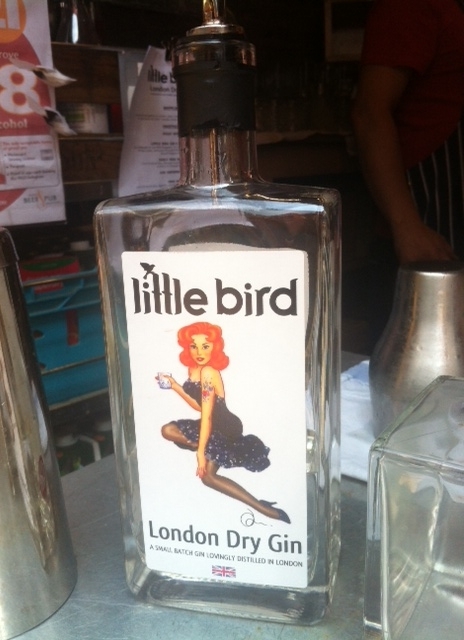 If Maltby Street’s Ropewalk had an official drink, it would be Little Bird Gin. 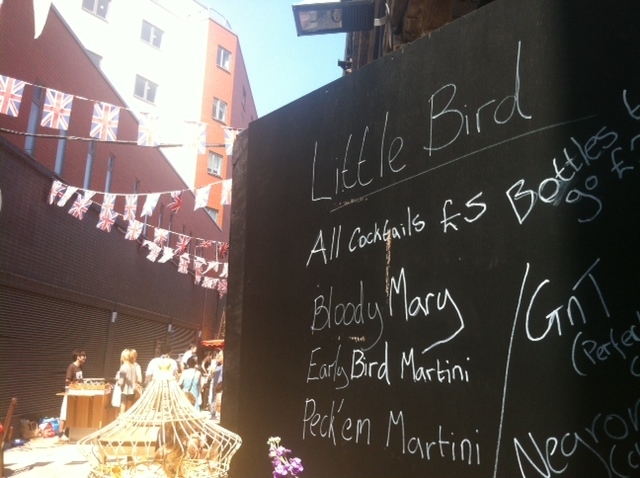 On Saturdays, 11am somehow doesn’t seem too early to be sitting at an outside table, sipping a gin cocktail from mix-and-match vintage glasses at Little Bird’s pop-up bar. Sharp yet smooth, this London Dry Gin – among other things, a London Gin doesn’t contain artificial colouring – has been distilled in small batches in London using botanicals such as grapefruit and orange to give it a clean and more rounded taste. 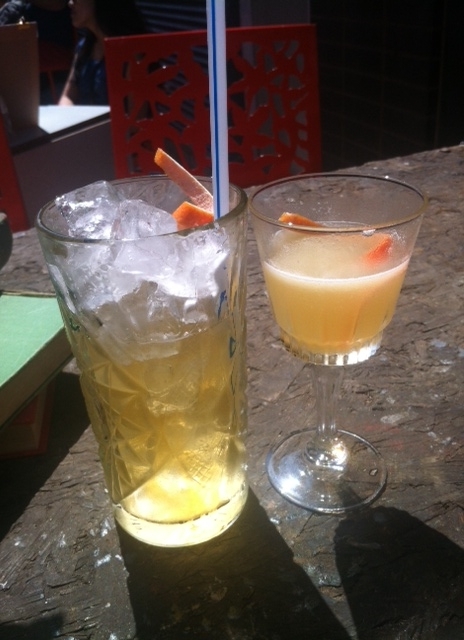 The fun lasts until the gin runs out, and you can choose from cocktails such as the divine Early Bird Martini (Little Bird, Seville orange marmalade, orange liqueur) or the refreshing A Bird on the Field (gin, London Fields Hackney Hopster beer, honey & ginger). As well as picking up a bottle to bring home with you, a few stalls down from Little Bird’s bar you can find the guys from Honourable Sausages and their gin & ginger snorkers, made from rare breed, free range pork and Little Bird.